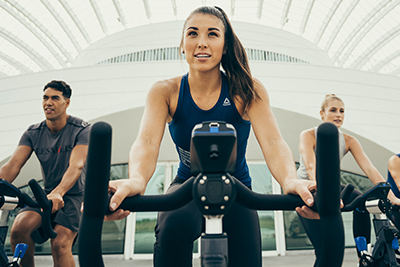 Indoor cycle classes are the new fitness trend. Discover the potential revenue of your cycle studio. 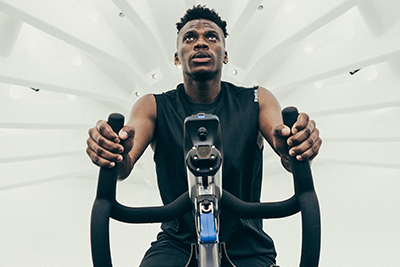 A fully immersive multi-peak cycle workout that equips your club with a cutting edge experience for millennial members. A world-leading cardio peak cycle workout that's fun and accessible for new members and loved by its lifelong fans. An intense HIIT cycle workout that gives members proven fitness results in a fast and effective 30 minute class. Bring world leading instructors and proven workouts to your members, more often. Our Virtual app makes THE TRIP an affordable option for unlocking your club's potential. Empower your members to achieve their fitness goals when it suits them. 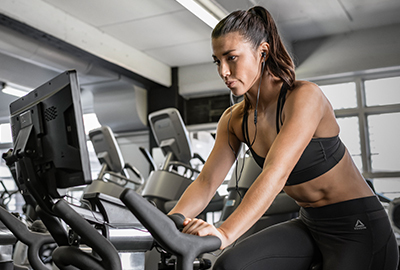 The next evolution of cycle fitness puts a whole cycle studio into one bike, with LES MILLS VIRTUAL classes ready to ride on your cardio floor. "I love to see my classes packed, and with Les Mills programs and Les Mills instructors you know that is going to happen for sure"
"People who have never cycled before, or who previously hated it, are now hooked. THE TRIP changes everything for them"
"The product is superior and it doesn't matter if it's RPM, SPRINT, THE TRIP – everything is always a step up. I always feel like Les Mills is a step ahead of the other trending cycle classes"
Calculate your cycle studio's potential return.